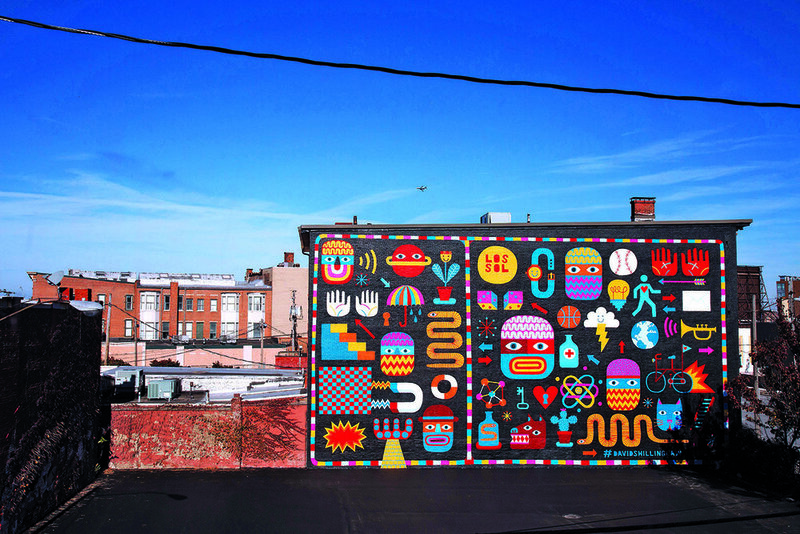 Since bright, colorful murals were completed in December in the Hingetown area of Ohio City, people checking out the artwork have been coming to areas of the neighborhood they may not have even thought to visit otherwise. Residents and visitors are perusing local businesses, stopping in coffee shops or juice bars and walking around taking pictures of the new murals — created by international and local artists collaborating through the Cleveland Foundation's Creative Fusion initiative, an international artist residency program. "It's amazing to see the amount of people coming in to see the murals in the middle of winter," said Ashley Shaw, economic development and planning manager at Ohio City Inc. "I can't imagine when the weather's nice how many people will be coming here."